With a cast of over 30 ,for some it was their first experience on stage. 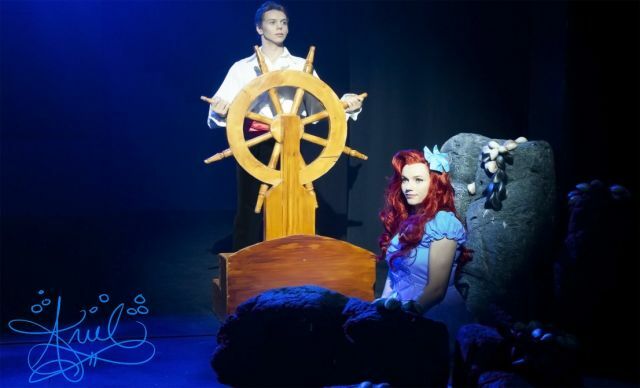 As Ariel, Tymyka Wines was well cast in her first major musical and was complemented by the dashing Clay Carlaw as Prince Eric. Both these artists were at ease with their characterisations and lead a strong line up which included Nicola Barrett as Ursula, Alan Chang as Sebastian and Chris Drummond as Scuttle. With colourful costumes and a minimised, well planned scenic plot, the show had pace and was fully supported by Leonnie Jones’ effective lighting plot. This is a great introduction to live theatre for “the young and the young at heart”.